Police Det. 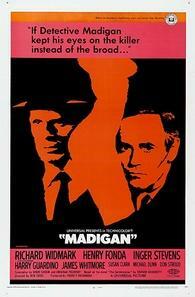 Daniel Madigan (Richard Widmark) and his partner have lost their firearms. A suspected murderer made off with them during a scuffle. Now Police Commissioner Anthony Russell (Henry Fonda) has ordered the men to get their pistols back within 72 hours -- or else. And if that weren't enough, Russell has to deal with disturbing evidence of police corruption surrounding an old friend, accusations of police brutality from a minister and the departure of his longtime mistress.